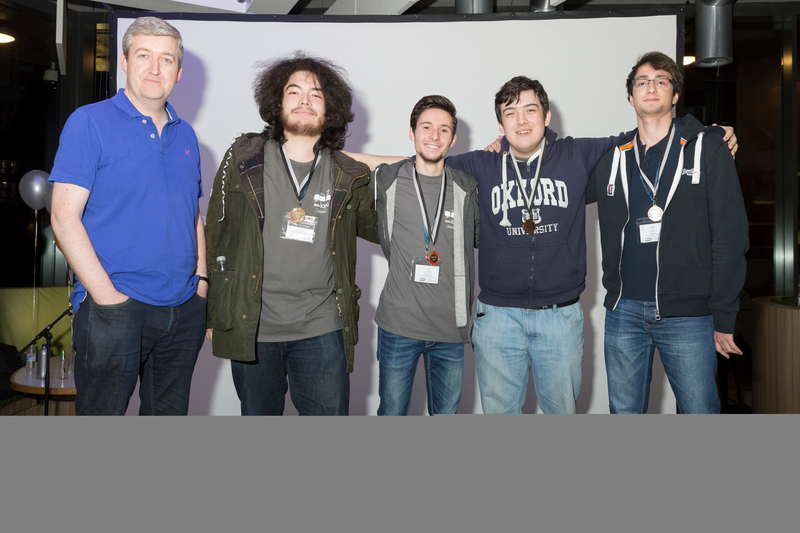 Andrei-Costin Constantinescu, a first-year undergraduate in Computer Science, is part of a team that will represent Oxford at the world final of the Association for Computing Machinery International Collegiate Programming Contest (ACM-ICPC). Andrei-Costin’s team, the Tractor_Specialists, won third place and a gold medal at the North Western European Regional Contest held at the University of Bath. This achievement has qualified them to compete in the world final in Beijing, hosted by Peking University, in April 2018. Only three teams from the region (11 countries) were selected, only two of which were from the UK. It is the first time ever that the UK has had two teams in the final, the recent norm being about one every two years. The ACM-ICPC is an annual, multi-tiered competitive programming contest among the universities of the world. During each contest, the teams are given five hours to solve between 8 and 15 programming problems which are then run on test data. The winner is the team that solves the most problems, with ties broken by time and penalties for wrong answers. We wish the Tractor_Specialists the very best of luck in the final. Below: The Tractor Specialists at the NWERC event at University of Bath (photo © Tim Gander). Andrei-Costin Constantinescu is second from the right.